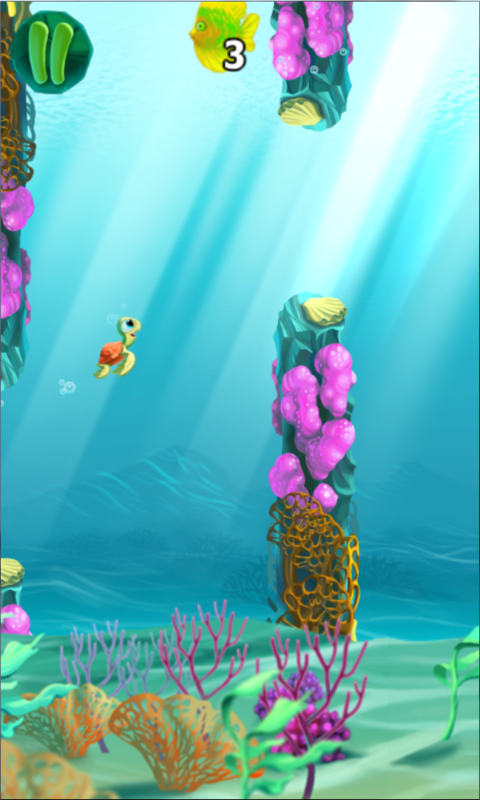 The cute little baby turtle just learned to swim with its tiny, flappy arms & legs. 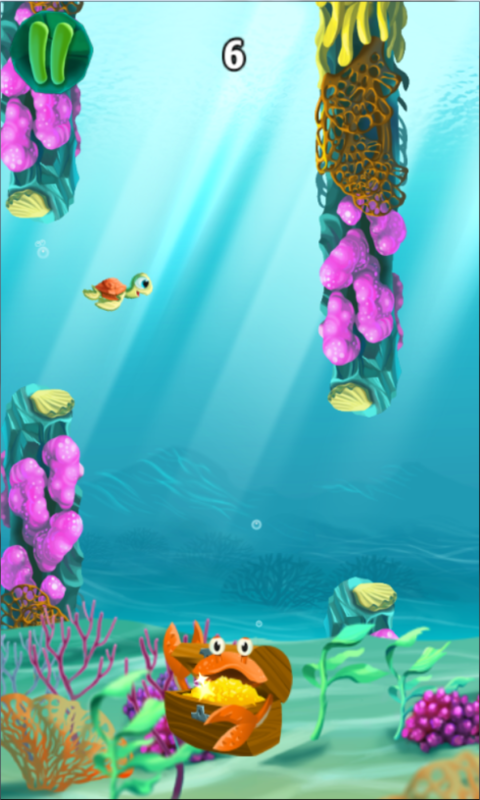 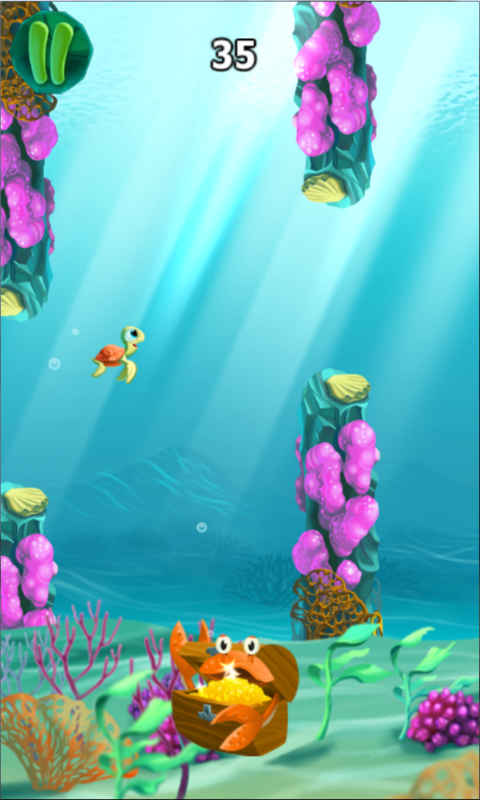 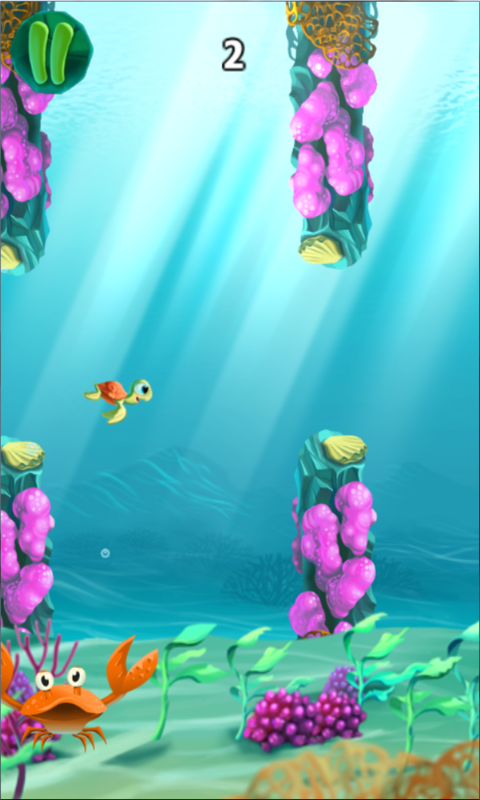 Control it throughout the wonderful world under the sea: friendly crabs, groups of busy fish and playful jellyfish are waiting to play with you. 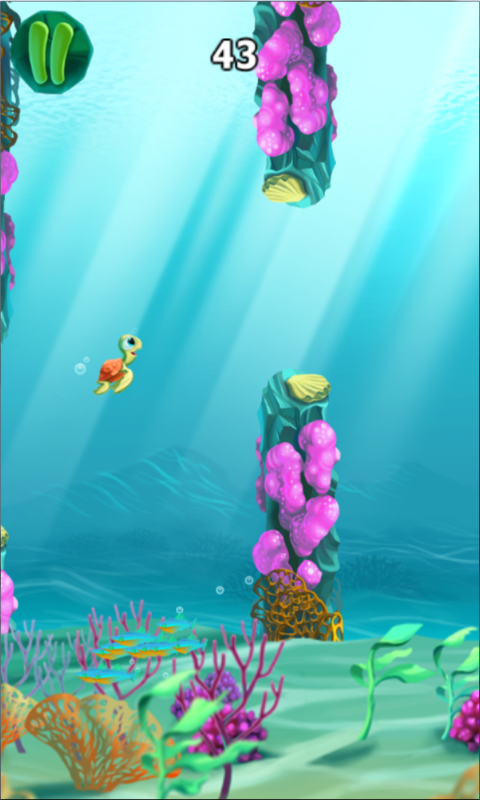 But be cautious to not swim the baby turtle into one of the reefs to not hurt it. 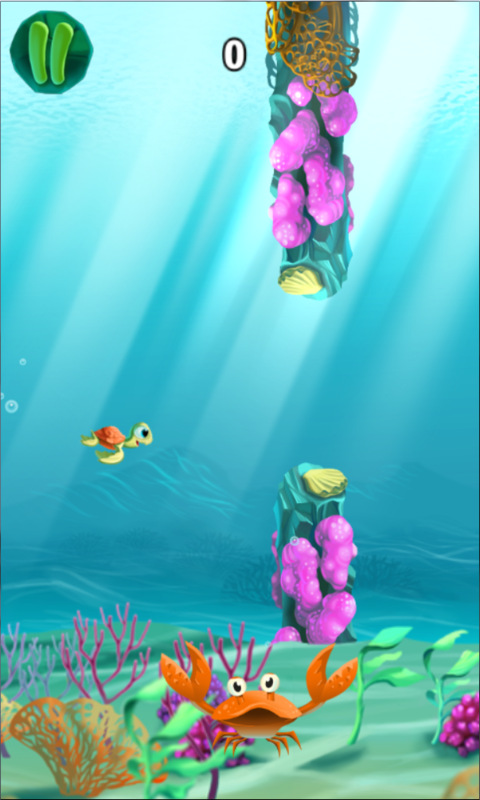 How far will you make it, what highscore will you reach?